A full-color storybook featuring Nickelodeon's Sunny Day--plus an eye-catching lenticular cover that brings the action to life! 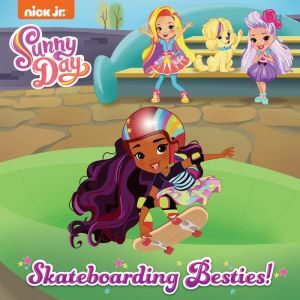 Go for a wild ride with Sunny and Rox at the Friendly Falls skateboarding contest. Boys and girls ages 3 to 7 who love Nickelodeon's Sunny Day will thrill to this exciting storybook. It features a lenticular design that makes the action seem to jump off the cover! Filled with action, comedy, and music, Sunny Day features a talented 10-year-old hair salon owner and entrepreneur named Sunny. Along with her friends and a can-do attitude, Sunny is ready to save the day--one hairdo at a time!